Look, I have no idea what’s going in this Wired piece about the “cult of Carol.” Its writer, Angela Watercutter, approaches the 2015 film’s fandom with the gentle bewilderment of Jane Goodall the first time she observed a pack of chimpanzees. “I found a fandom I never would have imagined,” Watercutter writes. 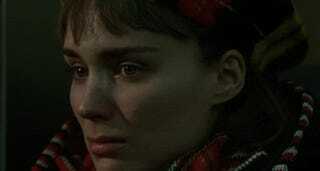 “Like the film it adores, the Carol community is open and painfully earnest.” Aren’t most genuine fandoms? And by coalescing around Todd Haynes’ critically acclaimed film about two women and their secret affair in the 1950s, it rebuts many of the expectations people hold about the nature of fandom itself. Do you see what I mean? 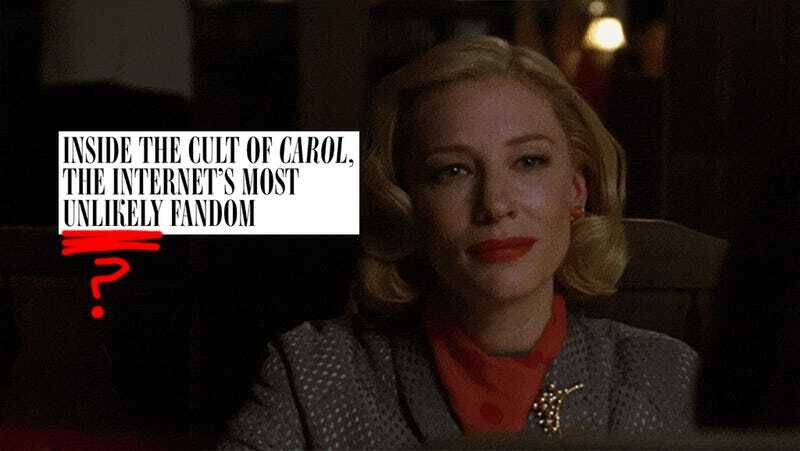 Though there is something unique about Carol in the pantheon of queer cinema, its fandom is far from “unlikely.” Todd Haynes’s film is the rare LGBTQ film that’s good, has a happy ending, and stars Cate Blanchett as a well-dressed lesbian with an insatiable lust for life and a sultry voice that would make anyone cry on the bus from New Jersey to Manhattan. Who wouldn’t jump on that ship? Additionally, the fandom (as described in Watercutter’s piece) is as by-the-numbers as the ones for any cult classic. People who love Carol see it on the big screen when they can. They create fan art of Carol and Therese in their spare time. They tweet memes. They find themselves especially active on dates mentioned in the film. They post about it on Deadspin when given the publishing access on April Fools’ Day. This. Is. Normal. So, in response to this baffling trend piece, I have assembled seven GIFs that best represent how I felt while reading it.